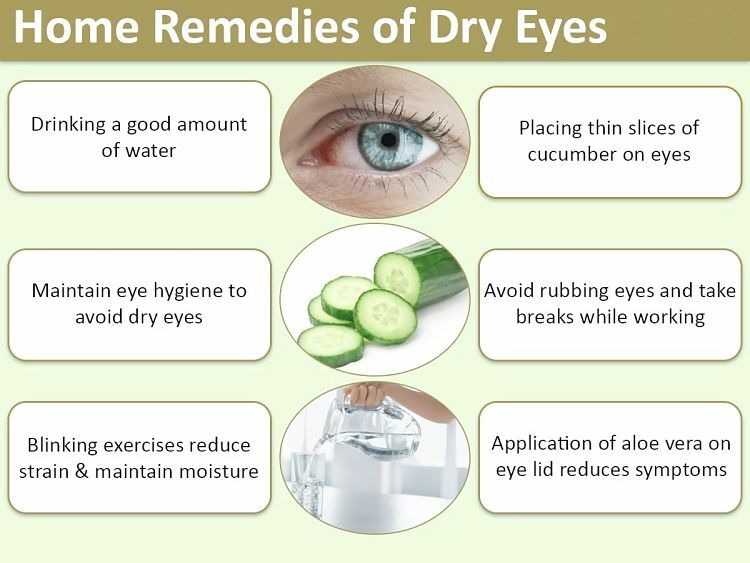 Dry eyes occur when the flow or tears is inadequate, but there are home remedies for dry that provide relief, treatment and help prevent the symptoms of dry eyes. 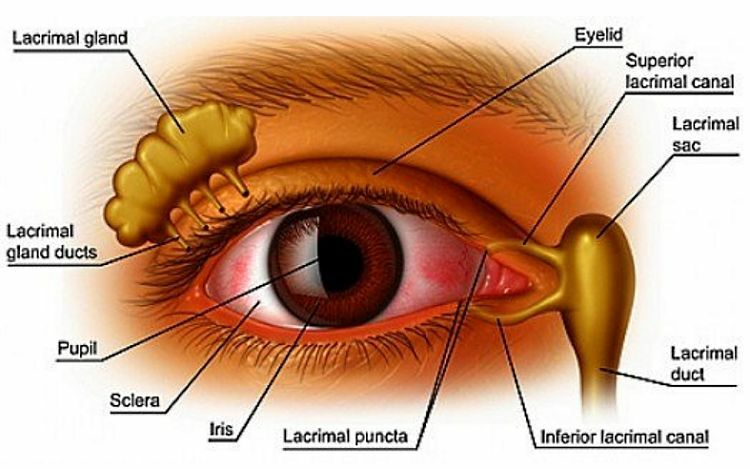 The eye depends on the natural release of tears to maintain the cornea (outer surface of the eye moist and lubricated to maintain vision and eye comfort. The natural tears released from the tear ducts are mostly water but also contain natural oils and lubricants, mucus, and special proteins and substances to protect the eye and help prevent infection and wear. Every time you blink, the eyelids spread the tiny tears over the surface of the eye to moisturize lubricate, and wash dust and debris from them. When the flow of tears fails, people experience a variety of symptoms such as itching, burning, inflammation or irritation that tends to get worse during the day and with rubbing around the eyes. In severe cases dry eye can cause blurred vision and the surface of the eye maybe scratch or irritated leading to infection. Some people get the feeling that something in their eye. People with severe symptoms should see a medical practitioner. This article provides several home remedies for dry eyes and offers tips for relief and treatment of the symptoms and prevention strategies. 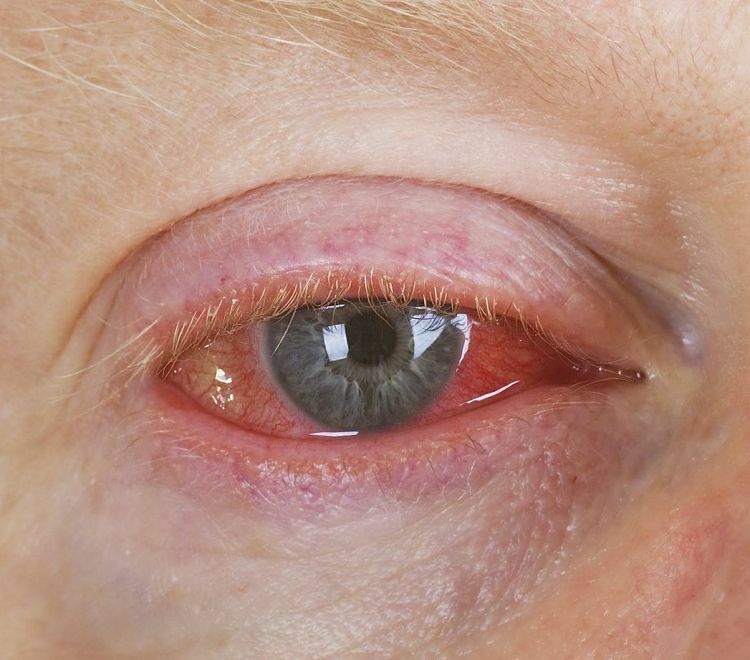 It is estimated that about ten million Americans suffer from dry eye symptoms, especially older people. The tears may be inadequate, the ducts may get blocked or there is not enough oil and lubricants in the tears. Hot, dry or windy weather conditions, air-conditioning with low humidity in the air, and cigarette smoke and other air-borne contaminants can cause dry eyes. People who wear contact lenses have greater risk of developing dry eyes which can also be cause by various medications. Long periods of watching TV, video games and working on computers, may cause dry eyes too. Hair dryers, heaters or fans blowing directly onto the face. Soft contact lenses that absorb tears. Hormonal changes - particularly associated with the female hormone oestrogen. Various Medications ( check with the supplier). Strong air-conditioning with low humidity. Dusty conditions with smoke or fine dust particles in the air. Windy, hot or dry weather conditions. Eye injuries and excessive rubbing of the eyes. 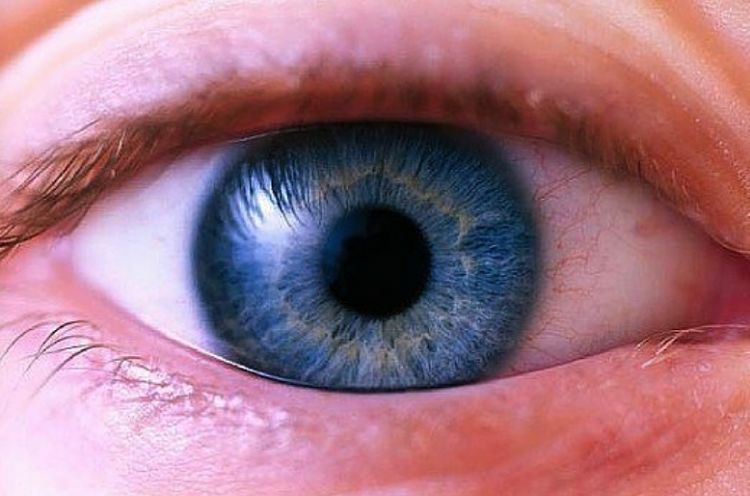 Any work or recreation situation during which blinking is less likely, such as prolonged reading, studying, staring at computer screens, driving vehicles or long hours watching television. Excessive tears running done the face, induced because the eyes are not being lubricated property and triggers more tears to be produced. The tear composition is wrong and the tears will wash the eyes but not lubricate them properly. 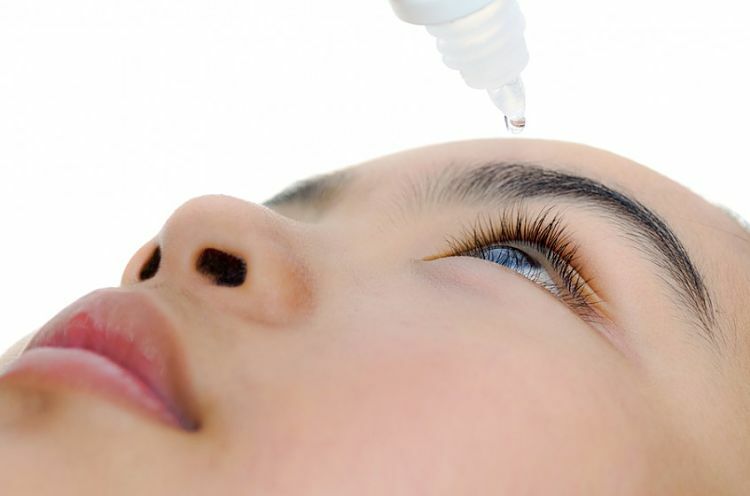 The symptoms of mild dry eyes can be prevented and relieved by using artificial tears (in the form of eye drops) or various liquid and cream lubricants. But this does not cure dry eye syndrome. Preservative free artificial tear drops are preferred because preservatives can irritate the eyes of many people. This may be the only prevention strategy for dry eyes induced by old age. It is worth examine how some the circumstances causing mild dry eyes can be alleviated which may provide permanent prevention and relief. Try some of these natural remedies. Increasing your blinking rate especially when concentrating. Resting the eyes by looking away from books, computer screens, televisions, video screens and blinking at frequent intervals. Better still take frequent short breaks. Protect the eyes from sunny, bright, windy environments by wearing sunglasses that enclose the eyes. Avoiding long exposure to smoky environment, heating or air conditioning that is very dry. Keep your indoor humidity between 30 and 50 percent. If tests show the air in your house is very dry, install a humidifier to add moisture to the air. Drink 6 to 8 glasses of water every day and take other measured to ensure your body is completely hydrated. More severe cases of dry eyes can be treated under medical supervision using steroids and other medications to reduce inflammation. Various procedures may be undertake to relieve blocked tear ducts. Avoid rubbing your eyes excessively. Don’t direct car heaters, hair dryers or fans towards your face and eyes. Check with a medical personal and pharmacists about your medications that may have side effects that may cause dry eyes. For women, choose waterproof eye makeup that will avoid irritation, and try various options if makeup is drying your eyes. When applying mascara, make sure it is applied to the tips of the upper eyelashes and avoid using any makeup on the lower lashes or lids that can irritate the eyes. 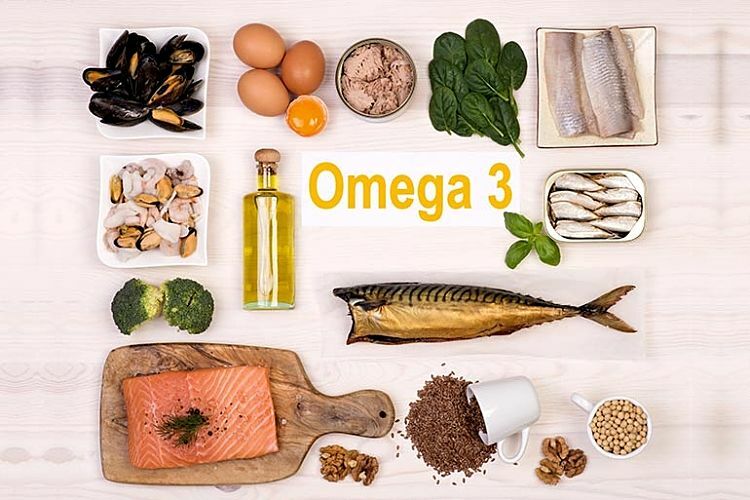 Dietary changes or vitamin supplement to increase the intake of essential fatty acids such as omega 3 oil (from fatty fish), flax seed oil or evening primrose oil. Various studies have shown that these essential fatty acids can help reduce the risk of dry eyes. 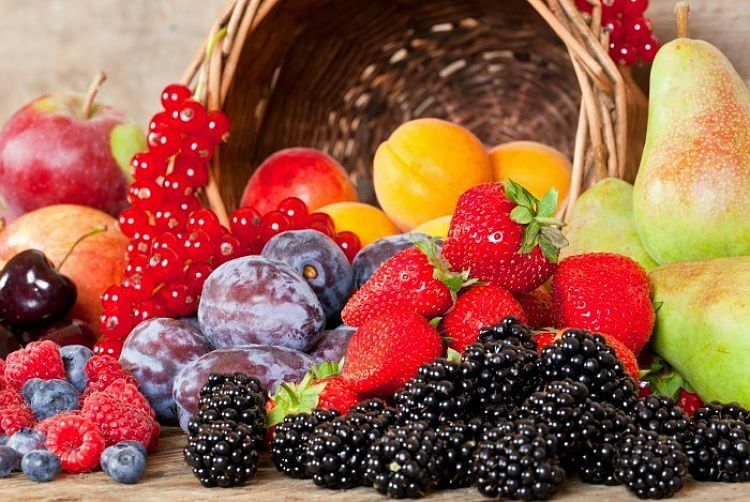 Eating foods in vitamin A and getting enough sunlight to produce Vitamin D can help to keep the eyes moist. Washing your eyelids by applying a warm washcloth to your eyes and holding it over the eyes for about five minutes. Gently rub the washcloth over your eyelids to loosen any debris and clean around your eyes. Use a mild soap such as baby shampoo on your eyelids.